The restaurant was modernized and renovated in spring 2014. It is open during the whole year. It is a public restaurant not only camping guests. Inside there are 60 seats – outside there are approx. 40 seats. 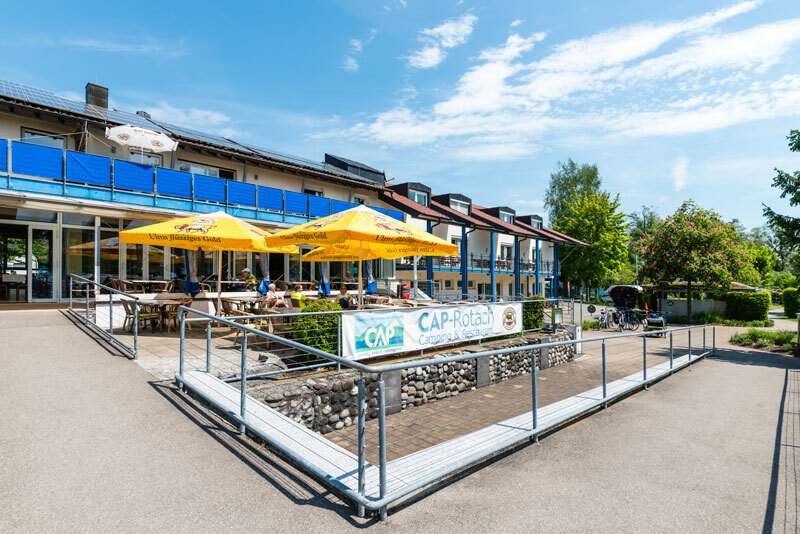 From the restaurant and the terrace you enjoy a unic and wonderful view to the Lake of Constance and the Alps. In the moring our guests start with a breakfast buffet. For lunch and dinner we offer local food, fresh salads und fish. Furthermore we offer cakes and pastry (all the cakes are baked at CAP). If you have any food intolerance please do not hesitate to contact the service staff. They will help you to find the food which meets your needs.